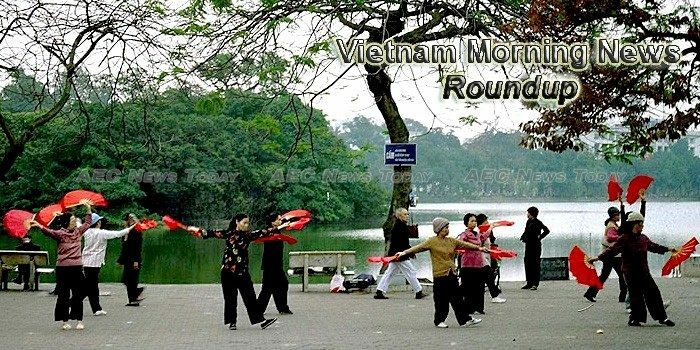 Welcome to the Vietnam morning news roundup by AEC News Today, your one stop for Vietnam news on matters of governance and policies affecting Asean business communities. Less than a year ago Vietnam was counting on U.S. support in building up a defense against China. Vietnam and China have clashed over land for centuries. Now the Asian neighbors bitterly dispute much of the sea closest to their shores, with China taking more control as the world’s No. 2 economy and No. 3 military power. Japan’s convenience store chain 7-Eleven has started hiring staff for its Vietnam operation, as it seeks to expand retail business to one of Asia’s fastest-growing economies. Dung Quat refinery, Vietnam’s sole such facility, is expected its gross profit to plunge 66 percent this year to VND1.68 trillion ($74 million) on an expected drop in crude oil prices and shorter production time, its operator firm said. Animal health officials in Vietnam reported the first outbreaks of the year involving two highly pathogenic avian flu strains—H5N6 and H5N1—as five European countries reported more outbreaks of H5N8 in both wild birds and poultry. Soon after Vietnam began harvesting the 2016-2017 winter-spring crop, the Thai government announced it planned to sell all its stockpiled rice – estimated at 8 million tons – in the first half of 2017. Innovatube, a Vietnam-based startup activator, has launched its maiden $5 million pre-seed fund for Southeast Asian startups and has re-defined itself as a venture capital firm. The departure of many players from the e-commerce market after spending all of their money did not threaten daring investors. More and more newcomers have appeared in the market recently. Thoughtful Media Group (TMG), a global multi-channel network (MCN) with offices in Ho Chi Minh City, Los Angeles, Shanghai and Bangkok, works worldwide with content creators and social media influencers by supporting their channels and orienting their content, as well as facilitating advertising campaigns between creators and international and local brands. VIETNAM’S Ministry of Agriculture and Rural Development has set a shrimp export target of $10 billion by 2030. Armed pirates reportedly attacked the ship and abducted six crew members before leaving it behind. The Vietnam morning news roundup is published M-F by AEC News Today: Governance, not government; policies not politics.